Sir Colin Davis is a revered Berlioz expert and his LSO Live Berlioz recordings have been among the most widely acclaimed classical recordings of recent years. 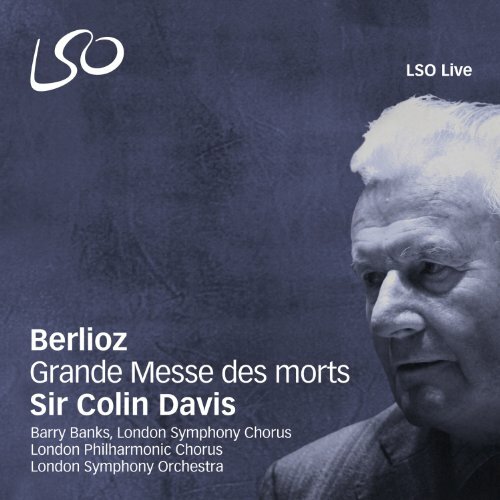 The release of the monumental Grande Messe des morts marks the completion of the cycle and further confirms Sir Colin's status as one of the greatest living conductors of Berlioz's music. Recorded in St Paul's Cathedral as part of the 50th anniversary season of the City of London Festival, this spectacular new recording features the London Symphony Orchestra joined by English lyric tenor Barry Banks and two of London's finest choirs, the London Symphony Chorus and London Philharmonic Choir. Although the Grand Messe des Morts derives its text from the traditional Latin requiem mass, it was composed by a man with no firm religious beliefs. Throughout the piece, poignant, reflective passages are contrasted with blazing full ensembles, offering a very powerful and grand listening experience.